5. Evangelical leaders know how to exploit this situation, pressing their advantage to cultivate close ties to journalists. For the last few decades they have mostly been able to control their own image in the press, but this is starting to change. 6. One reason it's starting to change is that massive and enduring Trump support has caused many pundits to realize they did not understand them. This occurred as the #Exvangelical community and movement was gaining visibility, and now we sometimes get our views represented. 8. But former evangelicals have been telling our stories for decades and yet going largely unheard, or being dismissed as isolated anecdotes. There are memoirs, blogs--but until around the 2016 election, there was no united community and movement. Now there is. 9. Only collectively can the voices of ex-evangelicals/exvies who were often traumatized in what is an inherently abusive, authoritarian religious system break through into the U.S. mainstream. Social media has helped to make that happen. 11. That too much of the supposedly "liberal" media continues to treat evangelicals and the broader Christian Right with kid gloves remains a problem, though. The Right reacted to #ExposeChristianSchools in a rabid frenzy and effectively derailed the conversation for a while. 12. Right-wing propaganda continues to misrepresent #ExposeChristianSchools as something created by "media elites" rather than by survivors who want to speak out against the racism, queerphobia, misogyny, and #ChristianAltFacts that were part of our childhood indoctrination. 13. But #Exvangelical folx have continued to create content revealing the white supremacist patriarchal and anti-science nature of "educational" materials and other artifacts of evangelical subculture and simply to tell our stories. And we continue to get some press as well. 14. If you want to take on the Christian Right's power, one of the most productive things you can do is amplify #Exvangelical voices and perspectives. Help other people who have no clue what evangelicalism is like to understand why it's important to raise awareness. 17. When it comes to primary sources, I’ve been thinking of doing more with them myself. 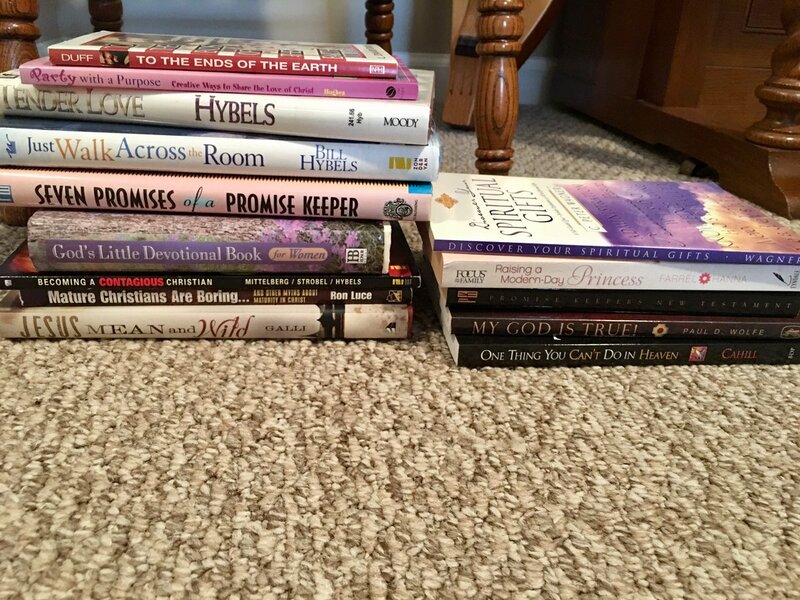 Inspired by @XianJaneway, the other day I ouckrd up a bunch of mostly 90s evangelical lit at my local Goodwill. This way they’re out of circulation and can be used to document extremism. 19. I have some threads planned around certain materials I've got at home, including materials directly from the Christian schools I attended in Indianapolis and Colorado Springs. 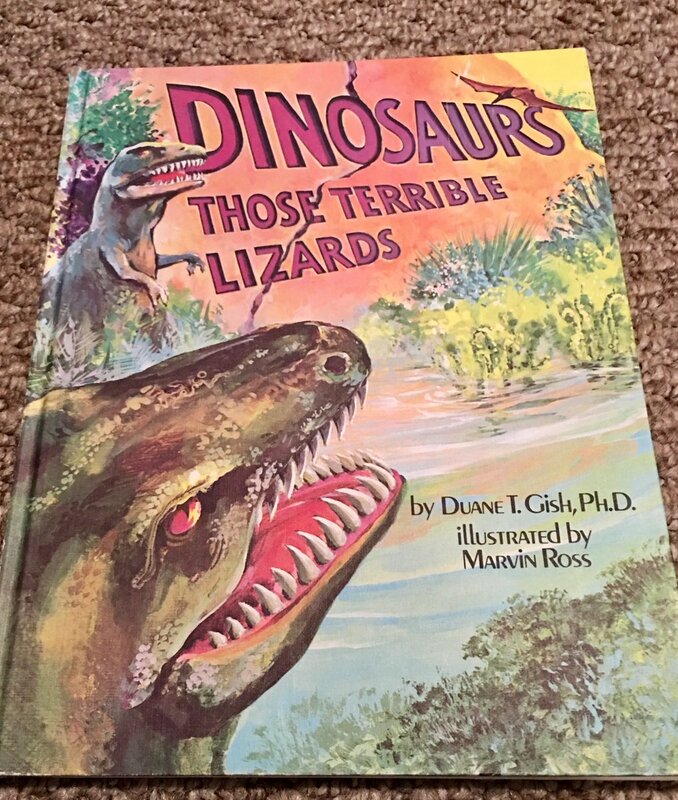 Think I will also do one on Dinosaurs: Those Terrible Lizards by "creation scientist" Duane T. Gish. 22. The struggle for LGBTQ inclusion at evangelical colleges and universities, and administrative crackdowns and purges also need to be part of the #ExposeChristianSchools and #ExposeChristianHomeschooling discussion. I've been doing journalism and commentary on this for years. 25. You might think this parallel authoritarian evangelical America has nothing to do with you, and evangelicals themselves would love for you to go on thinking that--because then we won't change anything in terms of public discussion and policies that might curtail their agenda. 27. And remember, white evangelicals are Trump's base. They are actively helping him dismantle what's left of American democracy. They will gladly impose minority authoritarian rule for as long as they can. Want to stop them? Then raise awareness. Amplify #Exvangelical voices. 28. I'll end this thread here. If you value the content I produce and can afford to, I would greatly appreciate you pledging a few dollars a month via @Patreon to make my work as a writer, speaker, commentator, and activist/advocate sustainable. Thanks! Addendum: You can also catch me tonight discussing the connections between right-wing Christianity, white supremacism, and terrorist violence like we just saw in New Zealand on @RickSmithShow tonight at 10 p.m. Eastern. 1. To understand the global threat of right-wing extremism, there are several areas you need to be aware of. I’ve studied right-wing Christian networks like those associated with the World Congress of Families. When it comes to explicit white nationalism, internet culture is key. The podcast will cover some combination of global problems, religion, the rise of right-wing populism, and migration and immigrant experience, in their intersections with each other and politics/geopolitics. Proud to see this tweet/blog post on @BulwarkOnline’s irresponsible normalization of authoritarian evangelicals included in today’s Abbreviated Pundit Round-Up by @DemFromCT on @dailykos. I haven’t made a lot of comments about @C_Stroop’s #ExposeChristianSchools hashtag because I went to public school K-12 and my parents were public school teachers, so I didn’t get Christian Ed until I was in college. But now I do have something to say. @C_Stroop There are a lot of folks who believe very strongly in the worth and promotion of parochial schooling. Our current secretary of education, Betsey DeVos is one of them. But, running in the circles I run in and knowing the people I know, I don’t trust a lot of these schools. @C_Stroop I don’t trust them because the education quality varies WIDELY and getting a poor education from a Christian school is fundamentally different from getting a poor education at a public school. I'm sick today so I'm feeling grumpy and my concentration levels are low, but just about right to shred this article here. I'll start with the headline. "Why freaking out about Christian schools proves evangelicals’ irrational fears"
The first thing that jumped out at me: you can't prove something irrational. EITHER their fears are irrational, OR they have been proven -- what? True? Even more ridiculous than we thought? Full of cheese? There's something missing here. Missing on purpose I think. It's supposed to imply the answer is "true" without committing to that. 7-12 year old me would be cackling at the #ExposeChristianSchools hashtag. 1) This goes without saying but obv evolution was addressed as being "secular brainwashing" to the point that any discussion on dinosaurs and Jurassic Park films were prohibited because they reinforced "young earth skepticism." 2) Being Charismatic as hell, students were forced to raise their hands during praise and worship or else our "Bible" class grade would be docked. 1- Taking a deep dive into the Communauté métisse du Domaine-du-Roy et de la Seigneurie de Mingan (CM) this am, the first self-declared “métis” org to file a court case post-Powley. That case reached the QC Court of Appeal in May 2017. Waiting for decision any day. 2- CM’s origins in January 2005 were in anti-Innu and white rights activism. They’ve left a LOT of traces, including in the 31 interviews (2007) with its founders that it submitted in the court case. 3- What’s clear through member oral histories conducted by a sympathetic anthropologist for the purpose of “proving” their claim is that these folks came to work together as white rights activists first and foremost.